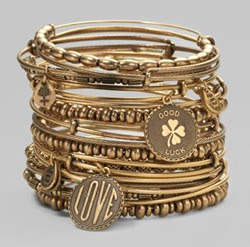 The best part about these bangles is that they are adjustable (and of course, adorable!). 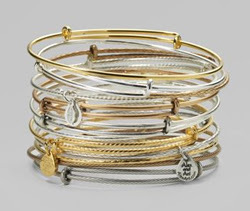 I love this bangle set!! How cute and very affordable, where do we purchase it at? Thanks alot! just click on the link (name) of the bangles set you prefer and it will take you to Saks, where you will be able to buy it. Great bangles love them! This blog is so helpfull, you are so helpfull. Alex and Ani is still a designer I am learning about. I love what I've seen so far. There is a sample sale coming up on monday for this brand. I'm sure I'm going to find something tobuy. They have great deals on this site.